The second one of three mine installations in this area. Mine 2 is a term that I am just using here, I don’t know the original historical name of this mine. 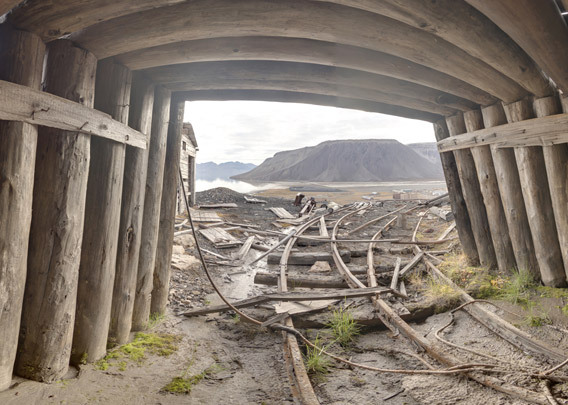 Old mine (2) near Pyramiden: waste dump, day plant and old railway tracks. Also here, old mine railway tracks, the volume of waste dump and the overall effort that has obviously been taken points to work over a longer period on this site. Hence, probably in productive operation. But when? 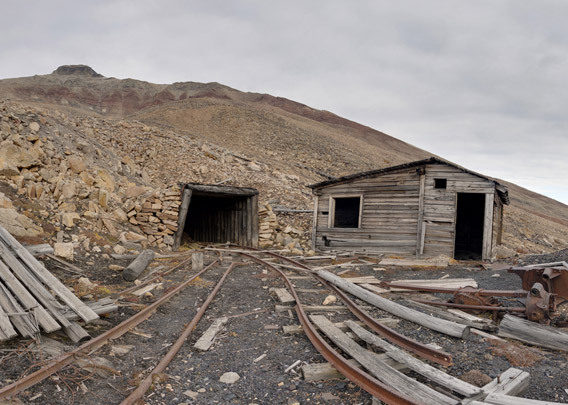 Little is known about the early history of mining in Pyramiden. Day plant and related equipment. View into the old mine shaft entrance. 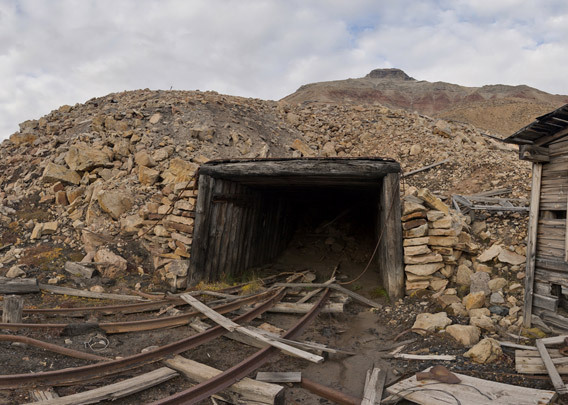 The mine shaft itself has collapsed.